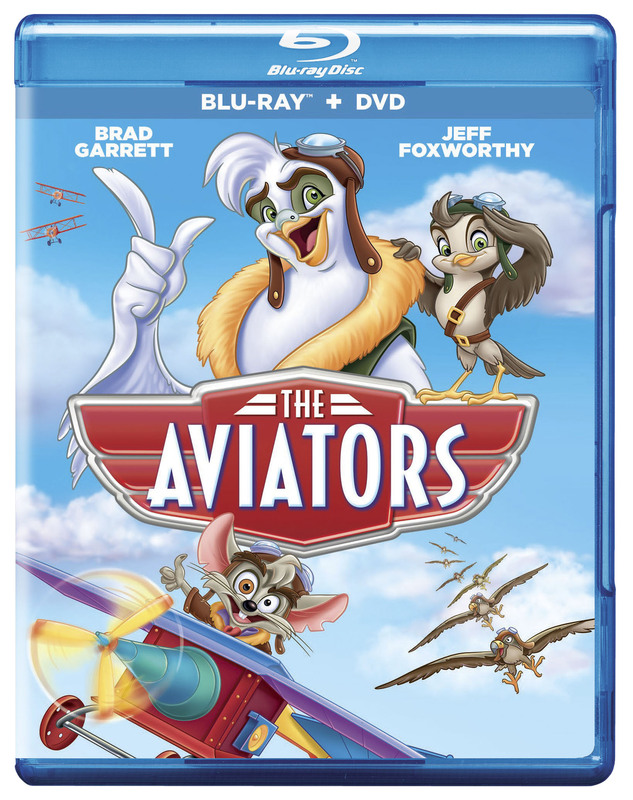 An animated story of heroism, bravery and friendship, Brad Garrett (Finding Nemo, Ratatouille) and Jeff Foxworthy (Smurfs, Fox & The Hound) headline the family-friendly, high-flying tale, The Aviators, arriving on Blu-ray Combo Pack, DVD and Digital HD February 3 from VIVA Pictures and Cinedigm (NASDAQ: CIDM). Directed by famed animator Miquel Pujol, the unforgettable adventure features the original song “We’re Fighting For Survival,” performed by Foxworthy. Based on a true story set during World War I, The Aviators follows the adventures of a courageous, albeit clumsy, group of pigeons and their sidekick, a resourceful engineer mouse (Foxworthy). When their small farm is turned into a military training post and communications centre for the Allies, the group of unlikely heroes enlists as carrier pigeons and bravely complete airborne missions to assist the soldiers on the battlefield. When given their biggest assignment yet, the team bands together to save the day and soar into history! Join The Aviators in this thrilling and patriotic tale based on an incredible true story. When life on a peaceful farm is disrupted, a brave group of carrier pigeons and their quirky mouse friend (Jeff Foxworthy) team up to defeat the enemy. Following their fearless—and feathered—leader (Brad Garrett), the unlikely heroes work together to save the lives of American soldiers.